The NAIA has officially announced the teams and opening round pairings for the 2018 Volleyball National Championship. The 44-team event will get underway with 12 opening round matches at campus locations on Nov. 17. Grand View (Iowa) is the top overall seed. Park (Mo. ), one of two undefeated two left nationally, remains in the No. 1 spot in the latest edition of the 2018 NAIA Women’s Volleyball Coaches’ Top 25 Poll. ATHENS, Tenn. – At the end of the 2018 recruiting cycle, the volleyball team had a dilemma on their hands. With 10 players returning and 10 new signees coming to add to the talent and depth of the program, an issue of space was created with a locker room for only 14 players. 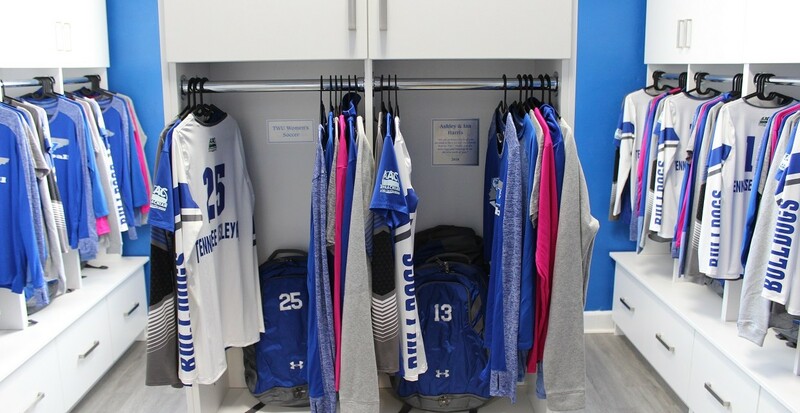 The locker room had gone untouched since it was first assembled for the first volleyball team in 1999, making it the perfect time to be revitalized. “We had a locker room that time had seemingly forgotten. It was a relic of the 90’s, and was just not functional or anything to be proud of. Our girls deserved better, and we are very grateful for our athletic director Donny Mayfield for approving this grandiose plan months ago when we had a lot of ideas but no money to bring them to reality,” said assistant coach Ian Harris. A fundraising campaign which included the opportunity to buy plaques to be placed inside a locker along with the money brought in through two summer camps brought the idea head coach Ashley Harris and her assistant coach had to reality. With money taken out of the equation, the coaching staff got to work, putting in hundreds of hours of their own sweat equity over the summer to complete the renovation. The duo demolished the old lockers, repainted the walls, installed new flooring and assembled and installed new lockers. The kicker: the team had no idea the renovation was happening this summer. Click on the video below to see the coaches’ vision come to life and the team’s first time seeing it.